Wholesale Baby Gift Products, Christening, Baby Shower and First Birthday Gifts! 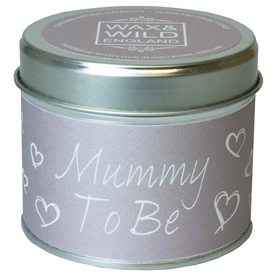 Looking for where to buy wholesale christening gifts and baby gift products? Sparks Gift Wholesalers are one of the UKs largest suppliers and distributors of christening gift products, baby shower gifts and first birthday presents. We offer a wide and varied range of Christening Gifts, Baby Shower Gifts and First Birthday Gifts that include Birth Certificate Boxes, First Tooth and First Curl Trinkets, Baby Boy Photo Frames, Baby Boy Photo Albums, Baby Boy Passport Holders, Baby's First Spoon, Fork and Knife Sets, Baby Height Charts, Baby's Bowl and Mug Sets. Sparks Gift Wholesalers are a leading UK distributor of baby and christening gift products at incredibly low wholesale prices. Baby boy and baby girl designs often in pale blue and pretty pink, we supply gift retailers, market traders, giftshops and gift re-sellers of all descriptions with exciting baby and christening gift products, with great customer service, low minimum order and fast delivery. Always looking to add the very latest designs to our comprehensive range so please visit regularly to see what's new. Thank you for visiting Sparks today - we are gift wholesalers to the south east with easy access from London, Essex, Kent, Surrey, Hampshire, Sussex and the M25.